A fantastic Trampoline Park constructed above our roller skating rink. Dodge, bounce or crash land with our array of trampolines and air bag with a dedicated viewing gallery. Have fun with friends at Planet Bounce whilst leading a healthier lifestyle. Fun with fitness guaranteed. 55 minute bounce sessions start on the hour only. Please arrive at least 20 minutes before your session start time to avoid queues and possible loss of session time. From a birthday party to the first date, bowling is a great way to relax or celebrate and suitable for all ages! 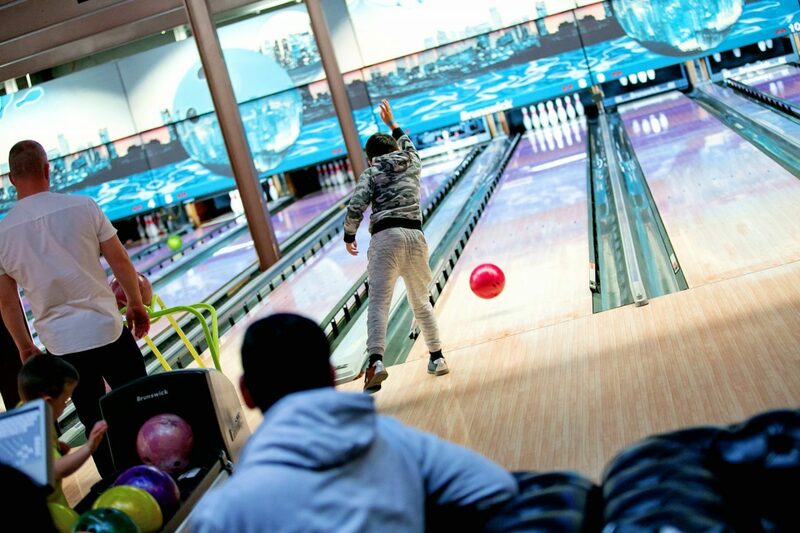 Whether you are kingpin or a gutter ball specialist, bowling at Planet Leisure will be right up your alley. Wheelchair accessible with ramps to aid your bowling and a wide variety of ball sizes everyone can enjoy a game of bowling. Whether you’re the next talent show winner or reality show flop, there is room for all with our state of the art Karaoke Party Pods! Party goers at Planet Leisure can now hire their very own private room with all of the latest karaoke equipment and laser lighting. We have 2 pods and can each hold up to 14 people in each. If you are looking for a girls’ night out, birthday party or stag or hen party activity, then this might be for you!